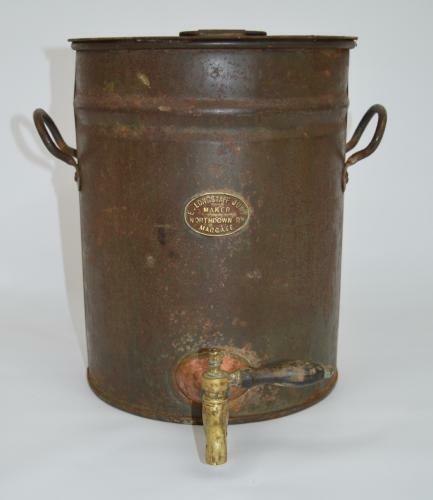 A very nice early 20th century water urn circa 1915. It has a very nice brass makers plaque and original copper and brass tap with wooden handle that is still working. Has 2 carrying handles either side and its original lid. In nice decorative condition, that would look great in the kitchen or in a cafe or restaurant as a diplay piece.